Virtually all of the proofs we provide our clients are Adobe Acrobat PDFs. And almost all of our clients return corrections and changes using Adobe Acrobat commenting tools. 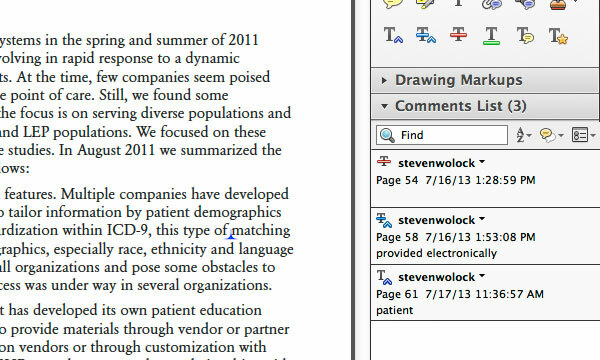 You or your editor can use Adobe Acrobat commenting tools’ simple, yet powerful toolset to help reduce errors and misunderstandings with your changes and corrections. My process for changes or corrections is to have both the annotated PDF and the original document, usually InDesign, open at the same time. Then going through the Adobe Acrobat Commenting Tools Comments List, I make the corrections one at time in the source document. It’s easy to keep track because I can check off each correction as it gets done. The interface is quite intuitive, but takes a little getting used to..
Here’s a quick primer on using Adobe Acrobat commenting tools. First, download and install the latest version of the free Acrobat Reader if you don’t already have it or aren’t using Acrobat Pro. We’ll use Acrobat Reader XI for this article. Acrobat Pro is similar. Think about what task you want to do before getting tangled up in the commenting tools. It’s much easier if you think of it very simply. For example, I want to delete this word (strikethrough tool), or I want to change one word to another word (Add Note to Replace Text tool). It’s all pretty obvious, but you might be surprised at how complicated and confusing it can become. Delete text—not replace or do anything else to it, just delete it. Replace text—delete some text and replace it with other text. Insert text—the existing text is OK and you just want to add text. Highlight text—add a note so you can say something about the text, for example change to bold or make smaller. Add a note—point out a change or correction that is not attached to text. Open the PDF document you want to add comments to. In the upper right corner you’ll see three tabs, Tools, Sign and Comment. Click on Comment. That will expand the Annotations panel. Also, expand the Comments List panel. You’ll see the key commenting tools are in the second row. Mouse over each tool to bring up a tool tip that tells what the tool does. 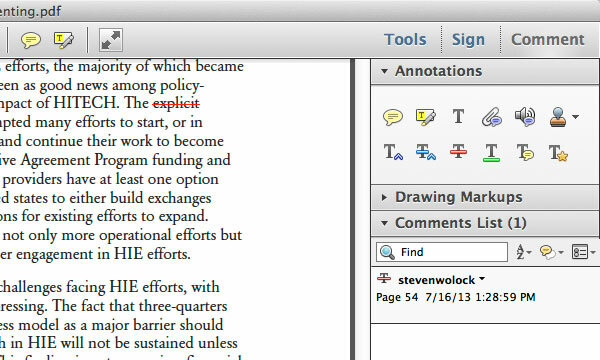 The Strikethrough tool is for indicating text to be deleted and not replaced with anything else. It’s just a delete. Select the text you want to delete, then select the Strikethrough tool. A comment will show up in the Comments List panel and there will be a red line through the text to be deleted. TIP: You’ll find it a bit more efficient and easier to select the text first, then the tool. You’ll spend less time redoing comments if you select the type first. 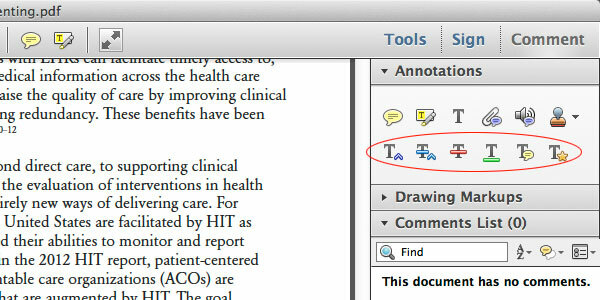 People are tempted to use the Strikethrough tool and the Insert Text at Cursor tool, to replace text. That creates two comments when there should only be one. That can get confusing as the designer works through the Comments List one comment at a time. TIP: Right click and select Delete on any comment in the Comments List panel to delete that comment. You can guess what the Insert Text at Cursor tool is for, inserting text at the cursor. 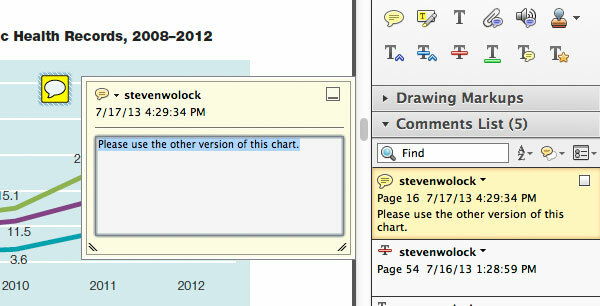 Just place your cursor where you want to insert the new text, click on the Insert Text tool and text field will pop up. Type the insert in the text field then you’re on to the next comment. TIP: Watch out for these, the little blue carets can sometimes be hard to find. The Add Note to Text tool is for when you want to communicate something to the designer and none of the three tools above will be clear. 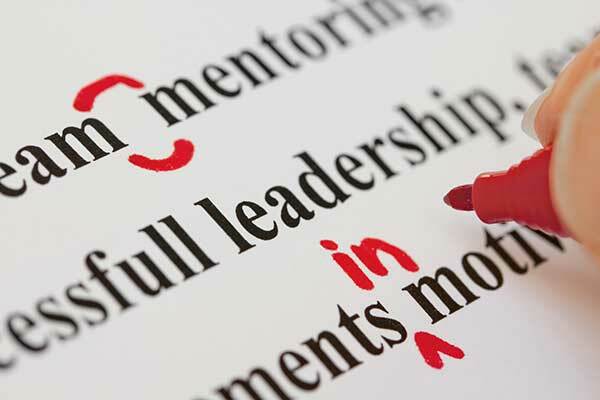 For example, if some text needs to be italic or the type appears to be the wrong font. Although it may seem to make sense, using Highlight Text tool as a replacement for the Delete, Strikethrough, or Insert tools is actually more work for you. 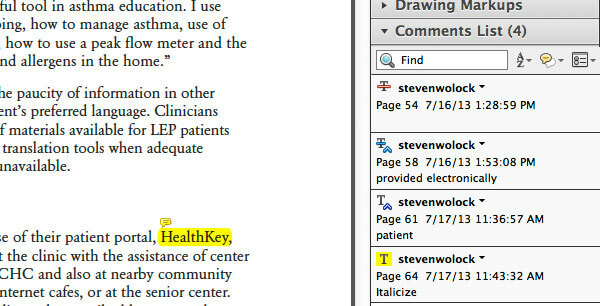 Save yourself some time, use the Highlight Text tool just for changes that aren’t deletes, replacements, or inserts. The Add a Sticky Note tool adds a note where there is no selectable text. You might use the Add a Sticky Note tool to comment about a photo or to add a note about deleting or moving a page. It’s appropriate any time the task involves objects, like pages or images, and where there isn’t selectable text. This tool is in the first row of the Annotations panel. 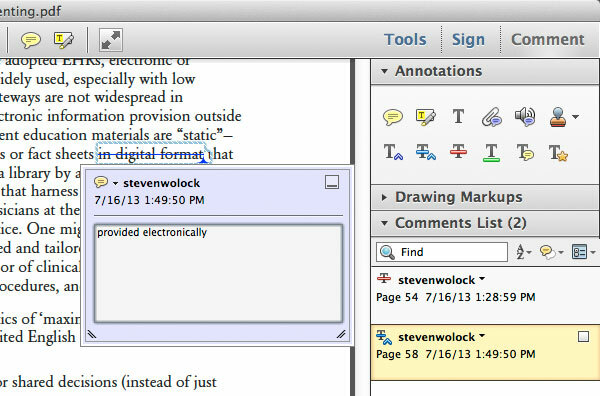 You should now understand the basics of Adobe Acrobat Commenting Tools. You now know how to delete, replace, insert, highlight and add other comments. Using just these five tools you can provide a clear and concisely commented PDF to your designer. Speaking of comments, I appreciate yours, especially corrections and user tips. How do i export comments from an acrobat file in mac os version? Hello. Sorry, I have no experience with exporting comments from Acrobat.